Bathrooms are a special space where you prepare for your day in the morning and wash away your worries in the evening. So, remodeling your bathroom can be overwhelming and exciting all at once. 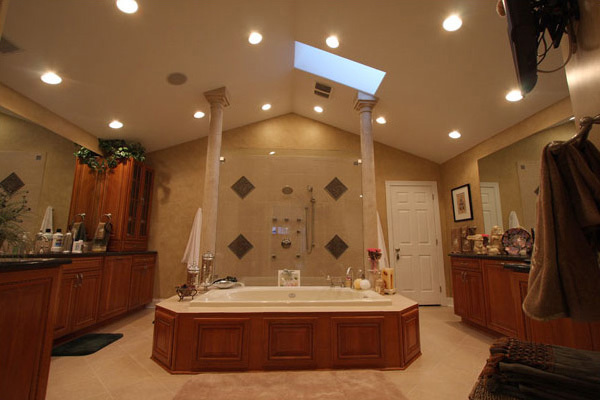 At JFR Contracting, we are experienced in remodeling bathrooms of all sizes, shapes, and styles. Whether you’re looking to add a spacious master bath or refresh the look of your small guest bathroom, we are prepared to help you select the right layout, fixtures, lighting, plumbing, and finishes to create a functional and inviting space. John and our experienced crew are versed in all aspects of bathroom remodeling from custom walk-in showers and luxurious spa tubs to tiling and heated flooring.